A lump in the groin is most likely Inguinal Hernia. It is due to the weakness of the abdominal wall, causing parts of the intestines to bulge out. This medical condition may occur during the first year of your baby. 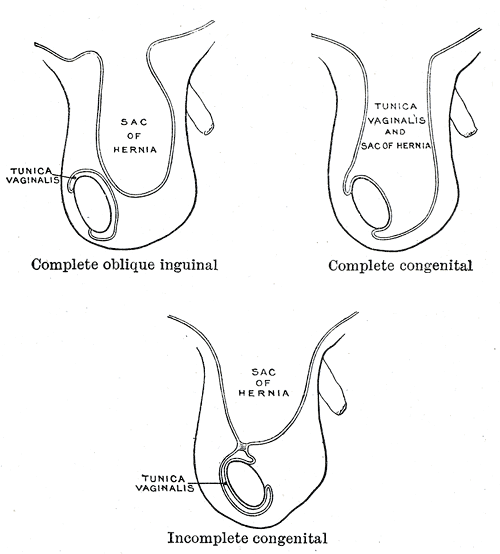 Boys are likely to be affected by Inguinal Hernia, with 1 in 50 being affected. This malady is also common in premature babies. Human testicles naturally form in the abdomen when babies are still in the uterus. It then goes down to the scrotum through the inguinal canal. If during development of the infant, it does not properly close, the weakness of the abdominal wall may result into intestines bulging through the canal. Go to the doctor as soon as possible if a lump or bulge in the testes or groin appears. It is usually recommended for elective surgery to prevent irreducible hernia. ➤ What if the Condition does not improve? If the condition is not immediately corrected, it may progress into irreducible hernia. An irreducible or incarcerated condition means that the intestines can no longer be pushed back into place. Pain, tenderness and redness of the testicular lump will likely cause your child to cry. It is a medical emergency since immediate surgery is needed to push back the intestines into place, and repair the defective abdominal wall. • The lump likely appears when the infant cries or during strained bowel expulsion. • Strangulated Hernia: Gangrene or Ischemia due to the cut-off of the blood supply to the herniated contents. Can be fatal.